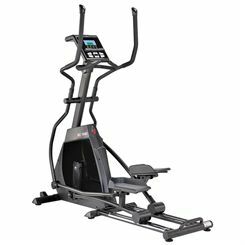 Elliptical cross trainers are a fantastic fitness option as they deliver an effective, full-body cardiovascular workout. Since deciding on the right product for you can be hard, we’ve created a buying guide to help make the process easier! Using our experience in the fitness and sports industry, we are here to help you find the trainer most suited to you and your needs. Our main aim is to ensure that you get matched with one that’s right for you, so you get great use out of it. 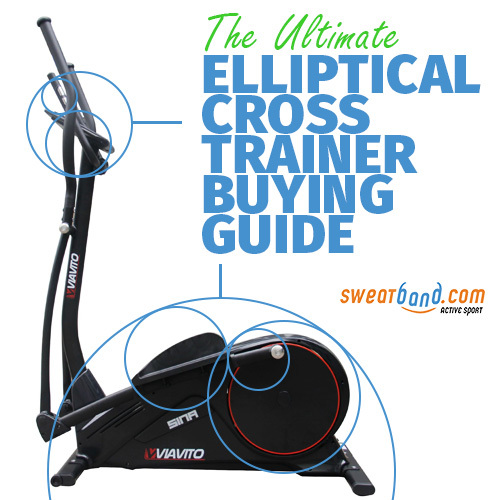 Have a read of our guide below and then feel free to browse the Elliptical Cross Trainers department in our store where you’ll find all the brands and models that we stock and all our latest offers. Before buying a cross trainer you should have a think about these 4 main areas. This will be the best starting point and help you towards finding the right piece of equipment. Knowing your goals will put you on the right track towards the machine most suited to you. How often will you be using it and at what level of intensity? If you’ll be exercising on it on a very regular basis with fitness goals in mind then it’s probably worth going for a higher spec one with smoother action. For less intense usage, then maybe entry or mid-level trainers would be more appropriate. If you have limited space or you need to move or store the trainer then consider a shorter, lighter and even foldable one. Larger machines will feel more stable but will take up more space. The most compact, entry-level trainers can be less than 120cm long (47”) but small standard ones will be around 150cm (59”), with the largest over 2m. You’ll find the dimensions and the weight of each trainer on the specific product page on our store. Having a budget will also help you focus on machines appropriate for you. Manually-powered cross trainers are available for around £150-200, and standard machines begin at about £300, going to up to around £500-£700. Above this to around £1500 covers the higher spec end of home trainers, but commercial grade ones can cost over £5000! Quality and specs will improve as the price increases, but spending more isn’t necessarily the key to finding the best one for you. A lower priced trainer may well suit your needs better than a top-of-the-range model due to size, weight and features. Since you’ll be investing in a machine for long-term use, it’s worth bearing in mind any extra features you might want on your cross trainer. You may not need anything other than a water bottle holder, but a tablet holder could be useful if you fancy downloading fitness apps to improve your workouts or want to multitask, read, listen to music over an mp3 connection or even watch TV – just be sure to concentrate on your exercise as well! Once you know roughly what you need we can then delve into more some specific aspects of these trainers. 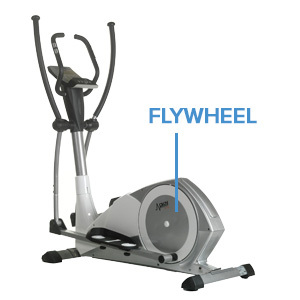 There are two main styles of cross trainer: front wheel and rear wheel drive. One design is not better than the other, but there are some fundamental differences. Rear wheel drive design usually increases the steepness of motion, meaning it can to a certain extent resemble the action of a step machine. Your strides on a front wheel drive may feel longer with a more jogging-like motion. However, it is all a question of personal preference, so it’s worth trying and seeing which style you like best. Front wheel drive models can be a touch more expensive than rear wheel drive, but the pedals are usually positioned closer together (see Q Factor below for more info) giving enhanced biomechanics, like on the DKN XC-160i. Stride length is critical when it comes to choosing the right cross trainer. Motion should feel natural and comfortable, with each rotation of your feet and legs being smooth. Generally, longer strides are better, but a stride length too long for you will strain muscles and too short will mean a cramped and ineffective workout. 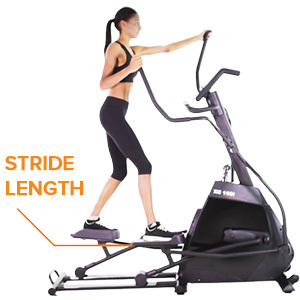 Longer strides should also deliver more elliptical-shaped (oval) leg motion, as opposed to an up and down action. Simply put, people with long legs will need a cross trainer with a longer stride length, whilst shorter people can use more compact machines. It’s all about finding the right length for you: stride lengths usually range from 12-20” (30-50cm). The flywheel is what dictates the smoothness of your motion, because as you work out on the trainer you build up its momentum. Generally, the heavier the flywheel the better, and you should aim for one that weighs 7kg or more. A heavier flywheel is also normally the sign of a higher-quality and sturdier machine. From the console you control your workout – programmes, resistance – and view your live feedback. Basic consoles will offer few frills and more expensive models may have LCD screens, controls for any extra features such as built-in technology or apps, and more in-depth feedback on your session. Seeing your data as you exercise is great as it can help motivate you and keep you working hard towards your target. 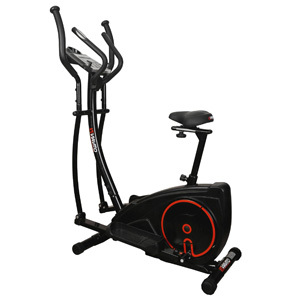 These machines combine an elliptical trainer with an exercise bike – sit down and pedal for the bike function and then stand up for a full-body cross trainer workout! The advantages of such trainers are that they are normally very reasonably priced, especially considering they offer two workouts for the price of one! They let you add good variety to cardiovascular sessions, mixing cycling with cross training for effective exercising. And, not forgetting, that by combining two machines the required floor space for those wanting to ride and cross train at home is halved. Tap or click on the features below to find more information about these other important aspects of cross trainers that are worth bearing in mind. On a cross trainer, the distance between the inside of the foot pedals is known as the Q-factor. The closer together your feet as you work them round, the more comfortable and natural your motion will feel. If your feet are too far apart with your legs going wide outwards, this will be uncomfortable. Low Q-factors are therefore best, two inches is very low, as they help foster a biomechanically correct workout position. On a cross trainer, your motion dictates the speed you work out at, unlike on a treadmill where the belt rotates at a given speed. Resistance is what you can change to increase the difficulty and intensity of your workout. A good range of resistance is important as otherwise once you start to get fitter you will outgrow your machine and it will no longer provide a hard enough workout. For those taking their training more seriously, we recommend investing in a machine with selectable levels of magnetic resistance which present a good challenge at the top end. Heart rate can be measured in two ways. The standard way is via the hand pulse sensors which are usually on the fixed handlebars. Some machines may have a built-in wireless receiver which allows you to wear a compatible chest strap that transmits your HR. The second method is more accurate than the first and better if you plan on training within HR zones for optimised workouts. Warranties will vary from brand to brand, but 1 year is a minimum. Most will offer between 2 and 5 years warranty on parts, frame and labour. Make sure to check what will be covered and for how long before buying the product. It’s also worth noting that with some manufacturers you must register the product within a certain time after buying it to receive a longer warranty, otherwise you’ll be covered by a more basic policy. We’ve been in the sports and fitness equipment market for over a decade and have great experience in the elliptical cross trainer domain. We use our expertise to ensure we only stock the products that we know you will love and enjoy using. 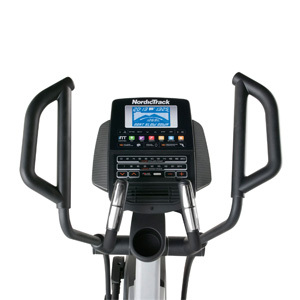 Among the brands we sell you’ll find ellipticals from DKN, Reebok, Sole, Proform, NordicTrack, Kettler and many others, making sure you can choose from the best models from the top brands. We also strive to ensure we offer you the most competitive prices! We have Google certification, which means Google confirm you can buy from us in confidence and safely. Google certification confirms our reliable dispatch, top customer service and they will even cover purchases up to £1000. However, we’re not just an online store. Near Oxford Circus in the middle of London you’ll find our racket sports and running store, and in North Manchester we have a fitness showroom where you can speak to a specialist and test some cross trainers and other fitness equipment before buying. Our advisors have years of experience which they’ll use to create a tailor-made recommendation for you, and they certainly won’t push any brand or model, but rather will ensure you get the right gear for your needs. We also have a fully equipped customer service team staffed with dedicated agents who will help you with any issues, whether it’s before, during or after purchasing anything. If you have a question about any specific product itself, or about how payment or delivery works or even what to do if there is a problem with your order, then pick up the phone and give us a call. We have an after sales team with great warranties expertise who won’t leave you to deal with suppliers like some retailers do if your equipment develops a fault, but will proactively work to help solve the problem for you.